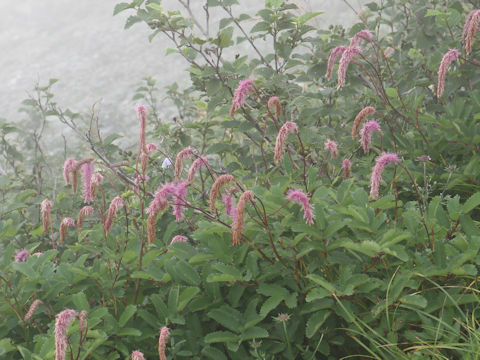 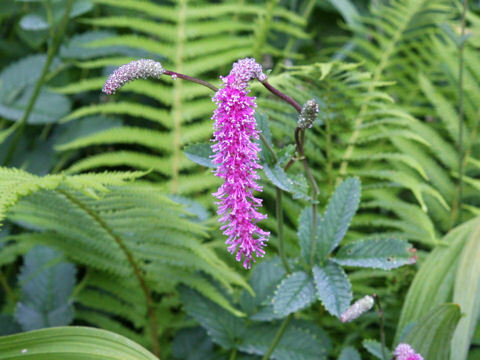 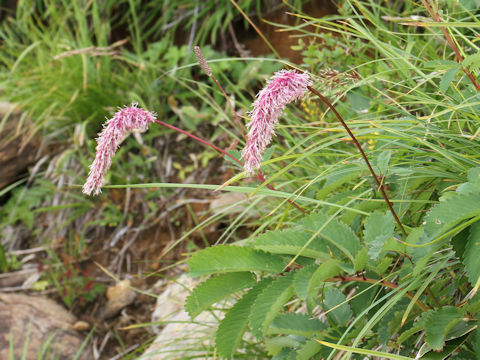 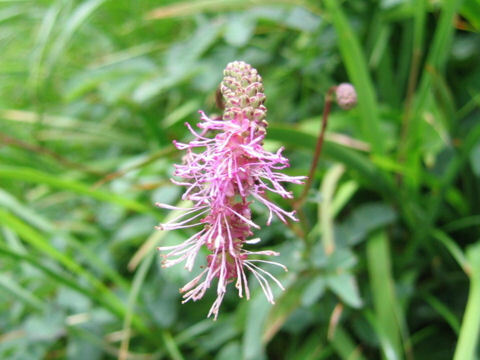 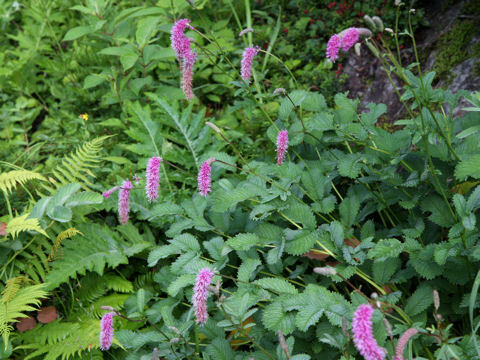 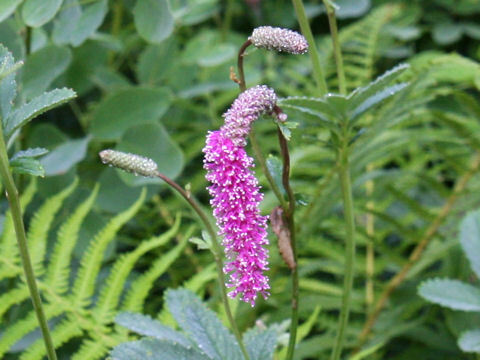 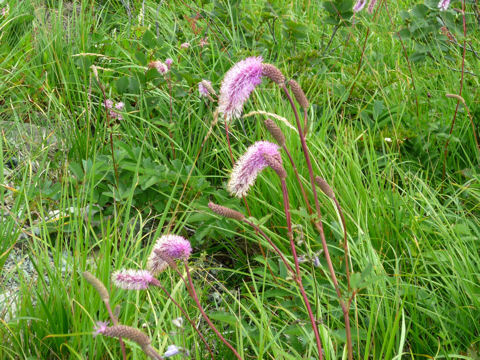 "Karaito-so" (Sanguisorba hakusanensis) belongs to the Rosaceae (the Rose family). 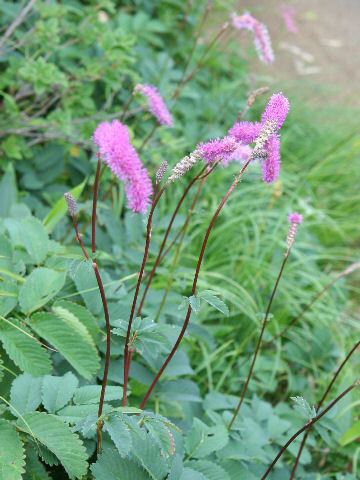 It is a perennial herb that is endemic to Japan and distributed westward from northern Chubu district to Hokuriku district. 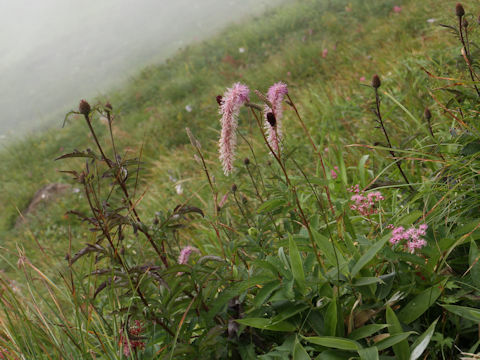 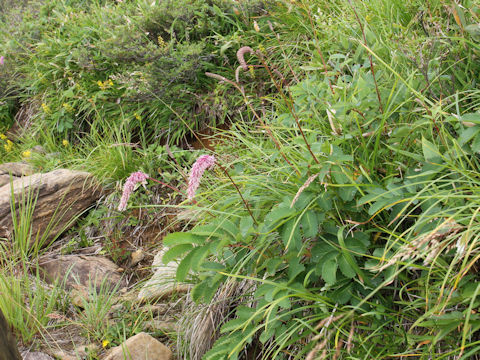 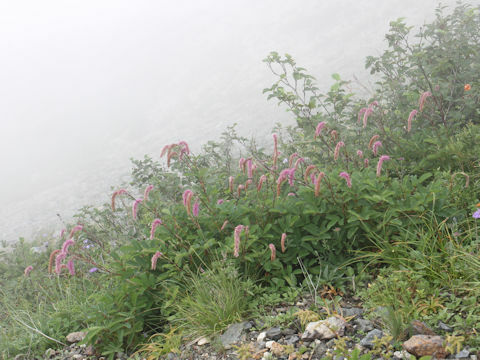 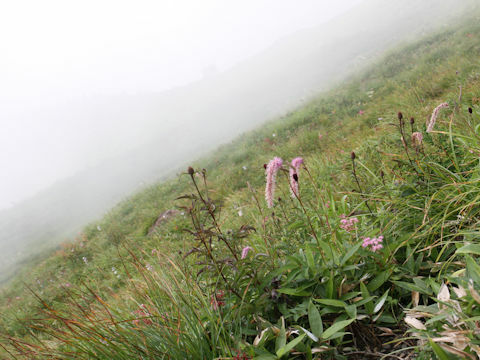 This herb grows in sub-alpine to alpine screes or grasslands and can reach 40-80 cm in height. 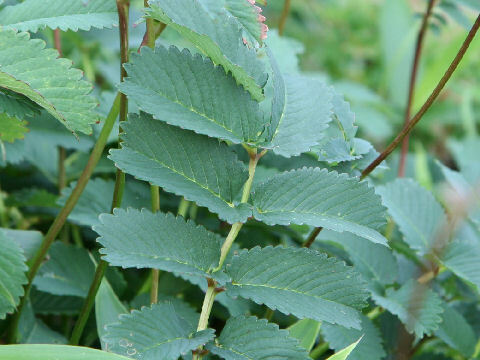 The leaves are basal and odd-pinnately compound with 11-13 leaflets. 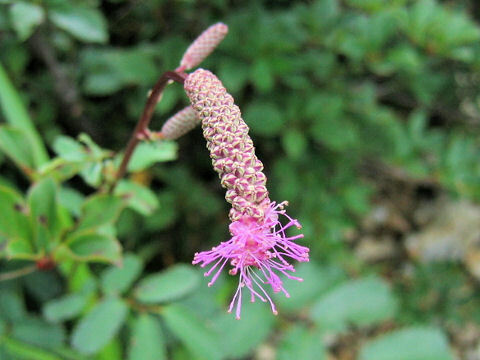 The magenta flowers bloom in the cylindrical cluster from July to September. 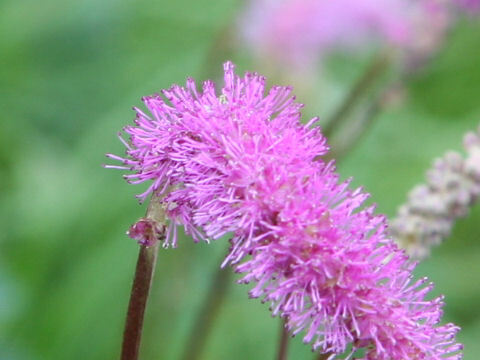 The flowers are non-petaled though the elongated stamens are conspicuous.